This morning we had some help from the master painter, Rembrandt van Rijn, in hearing God. His painting of the events of Luke 2:22-38 is sometimes called ‘Simeon and Anna Recognise the Lord in Jesus’ (most other famous paintings of the scene are called the much less insightful ‘The Presentation at the Temple’, also this painting’s alternative title. It shows three generations coming together, exchanging joy, encouragement and insight. Anna and Simeon have spent their lives waiting for God’s rescue plan to be launched. 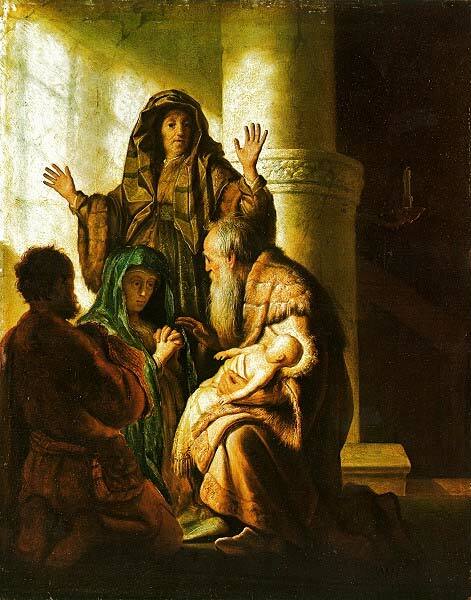 The fact that Mary and Joseph have come to the temple to offer their baby to God, to share him around, makes their day – or lifetime, actually. Simeon has a cuddle and speaks words of life and prophetic truth into this family; Anna explains to all the worshippers just how significant this child is. Mary and Joseph, who might be feeling like hicks from the country, at the beginning of the rollercoaster ride that is parenthood, are welcomed and embraced by people of mana in the temple. They’re surrounded and encouraged by older, wiser people. Everyone in this painting is a winner. This is what life should be like: each person surrounded by people from other generations, to learn from and teach. And this is why we have an all-age, all-stage approach to church life at West.